Olga Naidenko, the EWG’s senior science adviser for children’s environmental health, says she was surprised to see kale contaminated with a chemical called dacthal, which the EPA classifies as a possible human carcinogen and European regulators banned in 2009. Among the more troubling pesticides found on spinach is permethrin, a neurotoxic insecticide that’s been linked to ADHD. More than 90 percent of Americans have pesticides or their byproducts in their bodies, mostly from eating conventionally grown fruits and vegetables. Health experts worry that the EPA’s pesticide-residue safety levels are too high to protect young children. Scientists now know that doses of pesticides once considered safe can harm developing bodies and brains. But regulations have failed to keep up. “We look at how EPA has been approving pesticides and setting those tolerances and find again and again that the agency’s not taking into account children’s heightened susceptibility to pesticides,” says the EWG’s Naidenko. 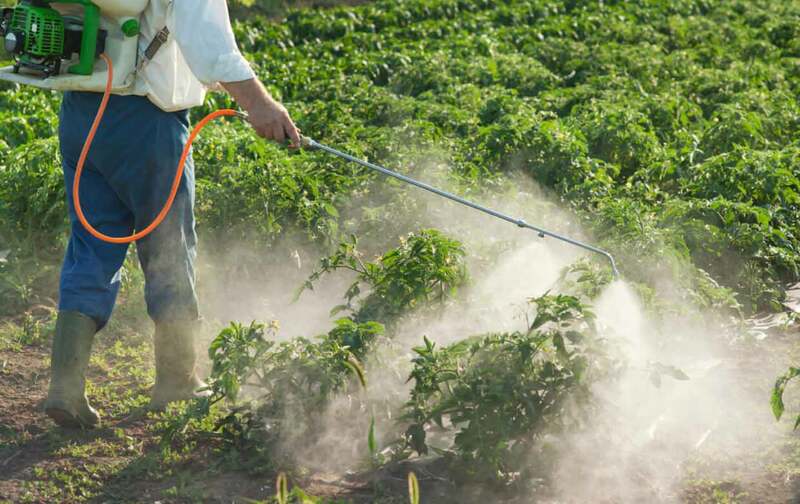 Pesticide residues can follow workers home from the fields on clothing and shoes, then collect in the dust on floors where babies and toddlers play. Several studies show that children of farmworkers routinely endure higher pesticide exposures than consumers and that mothers living close to fields treated with pesticides, including those on the dirty-dozen list, are more likely to have premature babies and children with autism, impaired cognitive function, and other neurodevelopmental disorders. Several pesticides have been linked to early puberty, impaired fertility, and increased breast-cancer risk, suggesting that young girls—whose brains and breasts undergo rapid development during puberty—may be particularly vulnerable to pesticide exposures. Researchers at the University of California, Berkeley, recently asked teenage girls living in the intensively farmed Salinas Valley to wear silicone wristbands—which soak up environmental chemicals like a sponge—to gauge their pesticide exposures. Dacthal and chlorpyrifos were among the most frequently detected pesticides for these Latina girls, and concentrations of dacthal and permethrin were three times higher for those who lived close to fields. California, the nation’s most productive agricultural region, used close to 210 million pounds of pesticides in 2016, the most recent statistics available, including many classified as probable or possible carcinogens, endocrine disruptors (affecting the hormonal system), and reproductive or developmental toxicants. Farmers applied more than 380,000 pounds of dacthal on kale, broccoli, cauliflower, and other crops in 2015 and 2016. The highest levels recorded in 2016 were in Lamont, a Central Valley town where the vast majority of residents are Hispanic and 35 percent of people live below the poverty line. California growers applied 11.3 million pounds of pesticides to produce nearly 3 billion pounds of strawberries worth over $1.8 billion in 2016. For decades, the EPA gave strawberry growers an exemption to use methyl bromide, a fumigant banned by international treaty to protect the ozone layer that has also been tied to violation of the federal civil-rights laws. They applied more than 14,500 pounds of methyl bromide—in just 2015 and 2016 alone—within a mile of Oxnard’s Rio Mesa High School, where most students are Hispanic and which California health officials flagged as the school with the most toxic pesticides sprayed nearby in a 2014 report. 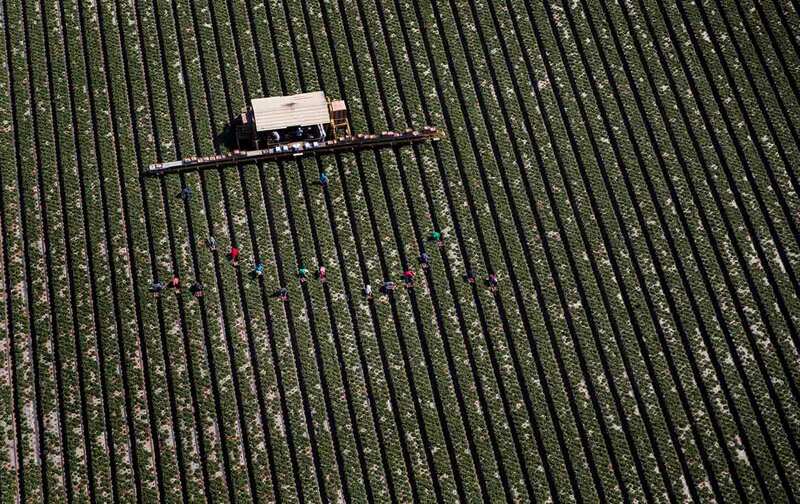 During the same time, growers also doused fields near Rio Mesa with more than 142,000 pounds of chloropicrin, a choking agent once used in warfare and riot control, and 1,3-Dichloropropene (1,3-D), classified as a probable human carcinogen. Last year California’s Department of Pesticide Regulation measured the highest levels of 1,3-D the agency ever recorded, at a high school in Shafter, a small Central Valley town, where 83 percent of the population is Hispanic and 25 percent live below the poverty line. The levels far exceeded those the state deemed “unacceptably high” when it issued a temporary ban in 1990. The DPR relaxed its 1,3-D cancer-risk standard in 2015, after the previous risk level was exceeded multiple times, says Anne Katten, director of the pesticide and worker-safety project at the California Rural Legal Assistance Foundation. Following the 1,3-D spike last year, Katten and members of other advocacy groups met with state officials to discuss the risks to the communities. 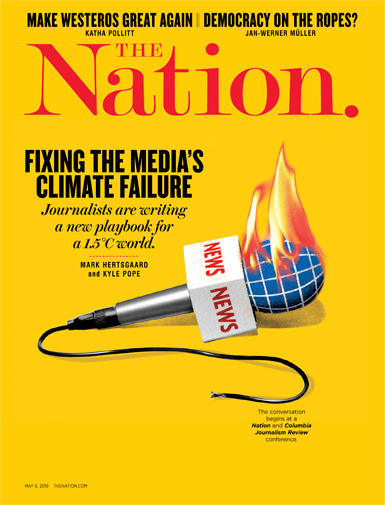 In a follow-up letter, the group pointed out that the agency’s estimates of air concentrations far exceeded its own safety standards for both acute and chronic risks. “We urge DPR to immediately suspend all uses of 1,3-D,” they wrote in an e-mail, citing risks to nearby homes and elementary schools.